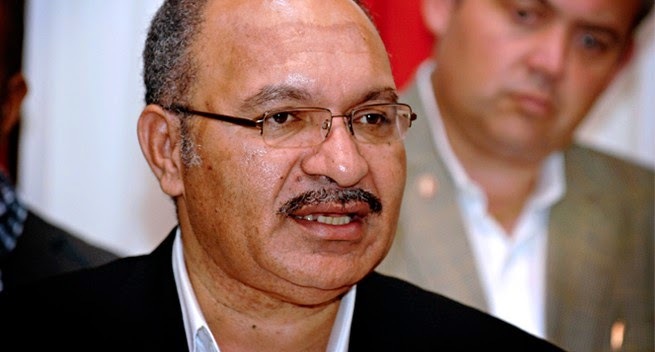 PORT MORESBY: PNG PRIME Minister Peter O’Neill has admitted that the political events of the past two weeks have left a "dent" in investor confidence in Papua New Guinea. He said investors were keeping a close eye on the situation and it gives them no comfort when they see policemen run after elected leaders including the Prime Minister with a warrant of arrest. He however, thanked those who have continued to show confidence that PNG is an investment destination. The Prime Minister also welcomed the purchase of InterOil’s refinery and fuels marketing business by Puma Energy at more than K1.5 billion. "I welcome the investment by Puma Energy in Papua New Guinea worth more than one and a half billion kina," Mr O’Neill said. "The political drama is unfolding because of this investigation and a letter that was photocopied which people are basing their entire political arguments and police investigations on. "It has been unheard of in any other democracies like ours, where a sitting prime minister is questioned on a flimsy evidence of a photocopied letter which could come from anywhere." "The manner in which we apply this is being watched very closely by our investors and friends who do business with PNG and when we cannot even protect the office of the prime minister and the prime minister, others think twice about investing their money in the country." "We were at the peak of investor confidence when we exported LNG early and I think with the first export of the LNG has put PNG on the world map, but the events of the last few weeks has really dragged us down now because investors are now apprehensive about investing in the country. "I want to continue to thank the many other strong believers in PNG, business community at large who have been very focused and strong in making sure that we resolve our internal issues in an orderly manner and that recent investment by Puma Energy for the InterOil assets is one that we welcome because it is a good investment for the country. "I am confident that new investors will continue to come and I am hoping and praying that the events of the past two weeks have not damaged our reputation.